lenavoegele – Experience Designer and Graphic Recorder, creating joyful surroundings by uncovering peoples needs, generate human opportunities in the fast-moving world. The SAP UX Day brings together more than 600 internal and external UX professionals and design-minded developers from throughout Germany. 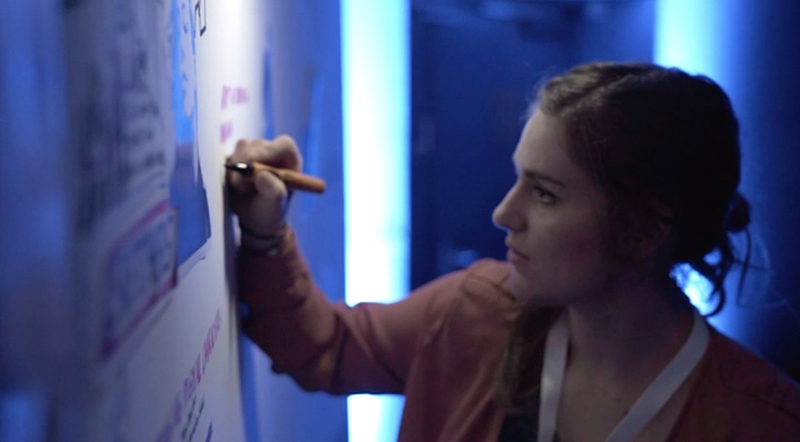 All the inspirations of the event presentations & activities were captured live in a visual format. Many people are visual learners, by creating such pictures I hope to increase engagement and summarize memories for the audience. It was a pleasure to draw a graphic recording together with Beate Riefer (SAP) and Jacqueline Dittkowski (SAP).